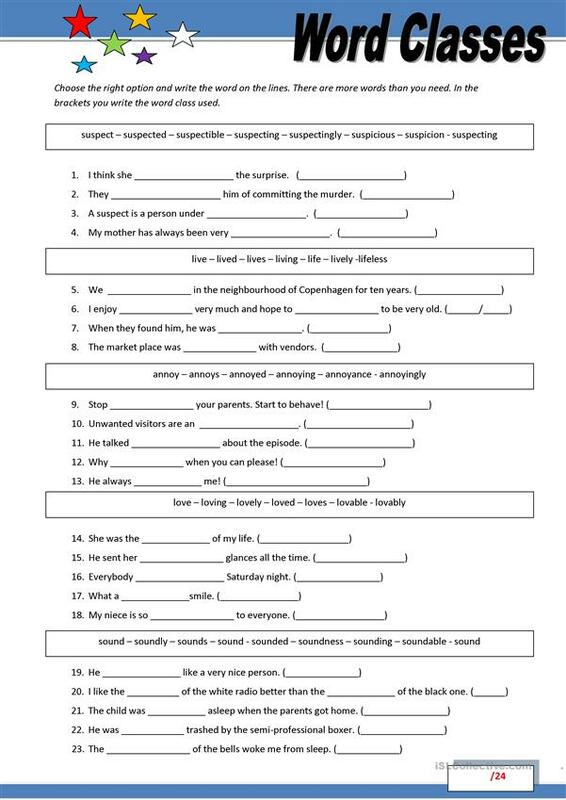 A worksheet created for students to practise their skills in deciding which word/word class is needed. In each group there are more words than needed -thus the decision is harder to make. This downloadable teaching material is recommended for business/professional students, high school students and adults at Pre-intermediate (A2), Intermediate (B1), Upper-intermediate (B2), Advanced (C1) and Proficient (C2) level. It is a useful material for revising Word classes in English, and can be used for strengthening your students' Reading and Writing skills.